We love to take our pets with us while RVing. They are part of the family and unless it’s absolutely impossible for them to go due to health or behavioral issues, they deserve to come, too. So, we need to make sure that if they get away from us or get lost and are found by someone other than us, we can be contacted for that much-needed reunion. We must use some sort of pet identification tool. 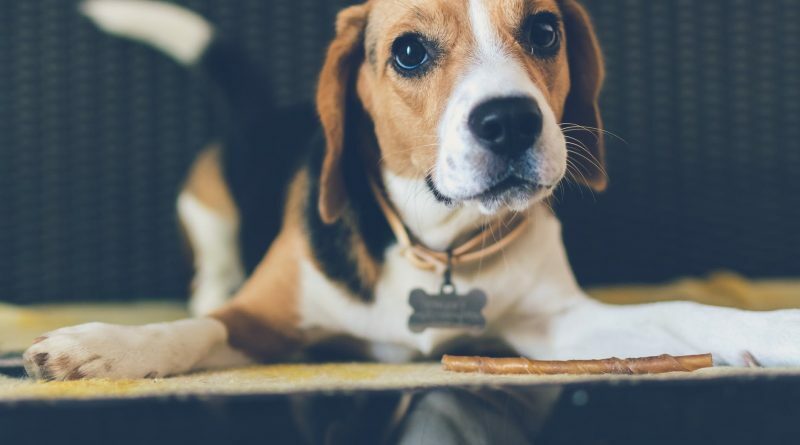 Pet identification can be done in many ways: collars with embroidered ID information, collars with ID plates attached, microchips, homemade ID tags and engraved or digital pet ID tags. Each one of these gives your pet a better chance of being returned to you. Most traditional collars come with rings where you attach tags that hang down from it. These engraved tags are the most common types seen on pets. I’ve even made one out of shrinkable plastic material then wrote my information on it with a permanent marker. My dogs used the engraved metal tags and my cats used the tags of plastic shrinkable material. At the time, they worked for us. I’ve seen collars with the pet name and owner phone number embroidered or engraved directly onto the collar. For people who want a no-tag, noise-free collar, this works. This is also great for people whose contact information will stay consistent. Unfortunately, there are limitations as to how many contact phone numbers can be put onto the collar. Another type of identification for collars is a stainless steel or plastic, slide-on tag. It is engraved with your pet’s name and your contact information and simply slides onto your pet’s collar. There are two types: one for sliding onto a collar with a regular buckle and one for snap closure collars. Both look durable and are noise-free. Again, there are limitations to how much information can be engraved onto the tag. Collars with identification plates attached by grommets are also an option for easily identifying a pet. They are engraved with your pet’s name as well as information someone would need to contact you if they’ve found your pet. But, they are only as wide as your pet’s collar, so for my small, ten-pound dog, there wouldn’t be much room for all the information I want to put on it. Microchips are an excellent way for you to keep contact information on your pet in the event your pet’s collar or tags fall off. Microchips are administered by a veterinarian, with a needle, under your pet’s skin between the shoulder blades. The pain is similar to that of a regular vaccination. Each microchip has a unique identification number for your pet. There are different companies who provide the microchips and store your contact information in a pet recovery database. People who find lost pets usually take them to a vet clinic or animal shelter where the pets will be scanned for their microchip. Keeping your contact information current with the microchip company is key to having your pet returned to you. Lastly, there are pet identification tags that have a chip embedded into the tag as well as a QR code on the back of the tag. A person simply scans or taps the code by an NFC (near field communication) enabled smartphone. When a pet’s tag is scanned, an email is sent to the owner of the pet stating the pet has been found. 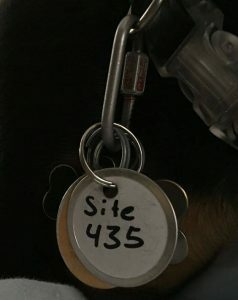 The person who finds a pet with this tag is given access to the information the owner has made available on their profile page of the website. If a phone number has been made public, they can call the owner and arrange for reuniting the pet with its owner. Owners must keep their information current, of course, in order for people to easily contact them in the event of a missing pet. Please note: this tag is NOT a pet tracker device. Some innovative RV pet owners out there have come up with an idea for all of those different “addresses” they have while traveling. In addition to your regular pet ID option, put your space/site number for your current RV park on a disposable paper key tag and attach it to your pet’s collar. With so many pets found without identification, it’s no wonder animal shelters are full and so many pet owners are heartbroken. 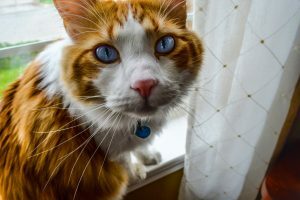 By using any of the above-mentioned pet ID tools, owners can be sure to have some peace-of-mind in case their pet goes missing. Another device now available, that we’ll be covering in more detail in a future article, is the GPS tracking device. While this type of tag is less about people identifying your pet, and more about you being able to find your lost pet quickly, it is worthy of mention when talking about preventing lost pets. Watch for our upcoming article of GPS tracking devices, but in the meantime, you can see the most popular devices on Amazon right now. Please share what you use for pet ID. Have you lost your pet and had it found by its ID?